Crystal Audio Video Design can help you with a variety of entertainment services, from assembling your television and speaker stands to correctly setting up, testing and integrating all of your audio and video components. 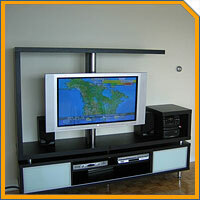 Let the experts guide you through setup so you can enjoy that new entertainment system quickly and without worries. Contact us now by web form or phone us at 604.722.7308. No sound? No picture? Bad signal? Give our service department a call.